CBD Oil: Is This Sleep Cure Healthy...Or Dangerous? Natural, homeopathic remedies for sleeplessness have been used for centuries to help people get better rest at night. Some of the most powerful herbal remedies for unwanted wakefulness in the evening hours came from hemp. But due to controversy and legality issues surrounding this poor beleaguered plant since the 1960s, lots of people have been needlessly left suffering from sleeplessness and insomnia for nearly half a century. If you've been considering CBD oil as a cure for your sleepless nights, but you're concerned with safety and possible legal issues, then you've come to the right place. We did some research and, although some of it is a little confusing, we'll do our best to help clear up the questions that many people have surrounding this particular supplement. First, let's make sure we understand exactly what CBD oil is. CBD is short for cannabidiol. It is a natural, organic compound produced by many different flora and fauna - including humans. But, for better or worse, the most prevalent source of CBD (and the easiest to cultivate) is from the hemp plant - otherwise known as cannabis, or marijuana. This plant, largely due to political (rather than scientific) reasons, has been illegal in North America since the late 1960s. Many other first world nations across the globe also have laws against the plant, to varying degrees. 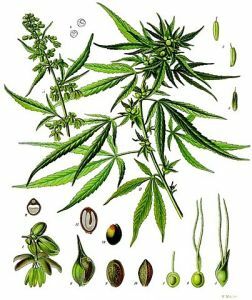 The illegality of hemp products stems from another botanical compound that the plant produces: THC (tetrahydrocannabinol). THC is the psychoactive component of the marijuana drug that gets people "high". But there's a big difference between THC and CBD. CBD is not psychoactive at all. There are no mood-altering effects associated with taking CBD, and it does not appear to inhibit cognitive function to any dangerously substantial degree. In fact, CBD has many different health benefits in the human body. Most notably, it helps reduce seizures, lowers blood pressure, alleviates joint pain, and contributes to overall health and wellness. How Does CBD Help Me Sleep? For starters, CBD is very reactive once it crosses the blood-brain barrier. It alters many different neurological functions, all of them in a positive way. It has even been discovered that CBD is capable of stimulating neurogenesis - the growth and development of brand new brain cells. In large enough doses, CBD is capable of reducing anxiety in the brain. The cannabidiol compound reacts with serotonin receptors in the brain, elevating mood and reducing anxiety. This is similar to the way antidepressant medications work, but it is a safe and natural process that does not come with the dangerous side effects that most antidepressants do. And reducing anxiety is important, because - as anyone who has laid awake all night worrying about all of their problems knows - anxiety is one of the biggest obstacles holding you back from getting the restful, restorative sleep you deserve. CBD can also help improve the quality of your sleep. This is especially true if you suffer from other disorders which are inhibiting your sleep, such as parkinson's disease. When you are in rem sleep, your body naturally paralyzes itself to keep you from physically reacting to whatever it is you experience in your dreams. But for some people, that paralysis does not happen, and their movements while dreaming have the potential to disrupt their sleep or worse. CBD is known to suppress this movement from happening, helping you stay asleep through the night and improving the quality of your sleep. But Isn't CBD Oil Illegal? Unfortunately, the answer to that question is a little complicated. The Drug Enforcement Administration (DEA) announced in December of 2016 that, because CBD is a "marijuana extract", that makes it a part of the federally illegal marijuana plant, and therefore illegal itself. But there are a few problems with the DEA's statement. For starters, as a federal agency, and not a judiciary body, they are not allowed to make up new laws - which is what their December 2016 statement equates to. Because of this, many lawyers have fought on behalf of the Cannabis industry to keep access to CBD oil legal for those who need and want to purchase it. Also, despite the DEA's meddling in the industry, CBD oil and therapeutic products which contain CBD are still widely available for sale. You can easily buy them online, at local smoke shops, and in states where marijuana use is legal (whether for recreational or medicinal use), you can find them at dispensaries as well. But this legal ambiguity is having an unpleasant ripple effect throughout the industry. There's a small cottage industry of unscrupulous snake oil salesmen out there claiming their product has CBD in it, when really it doesn't. This lets them sell it without fear of percussion from the federal government. Other sincere vendors whose products do contain the real thing may have to sell their products in more diluted - and therefore less effective - concentrations to avoid legal repercussions. This makes it much more difficult for the consumer to know whether they're spending their hard-earned money on an effective product, or wasting it on something that won't work. Yes, it's true - the bioactive components in CBD oil, when mixed with traditional herbal sleep remedies such as hops, chamomile, or valerian root, will synergistically work together for a strong sedative effect. If you're already taking either an herbal sleep aid or CBD oil, but not both, we highly suggest you give the combination a try. But if you have to choose between the two, or if you can't find a high quality CBD oil supplement available for purchase, then we suggest you give Avinol PM a try.